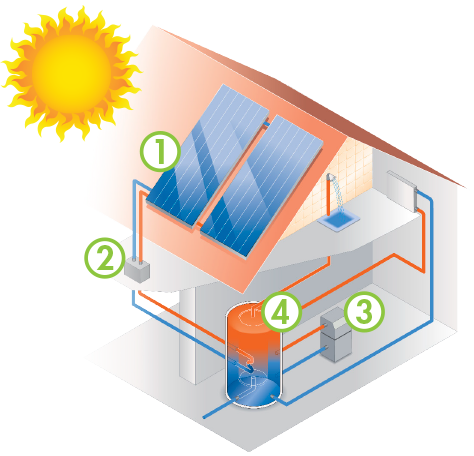 Renu Energy’s solar hot water product line includes the most technologically advanced solar collectors and solar thermal tanks in the industry for the most aesthetic and efficient solar water heating solution. 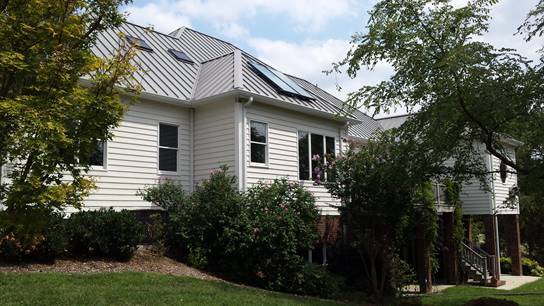 Sized to fit the hot water demand of your home or business, our solar thermal collectors absorb solar energy and convert it to heat for all your hot water needs. We offer both thermal technologies with evacuated tubes and flat plate collectors to match your solar resources and aesthetic requirements. We match the technology to your situation. Easy to install, our solar thermal tanks store the solar-heated water year-round and even when it’s cloudy, you can rely on the backup of your existing fuel source so you’ll never be without hot water. Stainless steel tanks backed with a 20-year warranty offer you peace of mind and energy savings. It looks like a skylight! Whether you’re heating your hot water with electricity, natural gas, propane or oil, our high efficiency tanks can be used as a stand-alone replacement tank or in conjunction with your existing hot water heater. If your boiler is currently heating your water, we can save you hundreds of dollars, and give your boiler a rest during the warmer months of the year.